NEW YORK, October 12, 2018 – ​InvestAcure, PBC announced today that Ken Abramowitz of NGN Capital, has joined InvestAcure as Chief Investment Officer. InvestAcure is building a spare change investment platform to help millions of people impacted by Alzheimer’s invest in companies working on a cure. Ken Abramowitz has joined as Chief Investment Officer to help spearhead the development and implementation of this unique science driven investment model, with the goal of advancing the development of treatment and cure for Alzheimer’s disease. Ken Abramowitz is the Co-founder and Managing Partner of NGN Capital, a $450 million Venture Capital fund in the health and pharmaceutical space. He holds an MBA from Harvard Business School, was voted top pharmaceutical analyst by Institutional Investor Magazine, and named to the Wall Street Analyst Hall of Fame. InvestAcure's Common Need Investment model, is a unique market-driven solution which can empower all of us to partner in ensuring that promising science is turned into lifesaving cure, and I'm proud to join together with the InvestAcure team in developing the full, game-changing potential of this vision. “Ken Abramowitz is one of the world’s leading investment experts in the complex dynamics of the pharmaceutical industry. Having him join our team as CIO helps build a solid foundation for realizing the InvestAcure vision in the fight against this horrible disease” said Max Tokarsky, the CEO & Founder of InvestAcure. 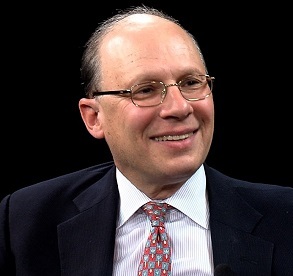 Ken Abramowitz is a co-founder and Managing General Partner of NGN Capital. He joined NGN Capital from The Carlyle Group in New York where he was Managing Director from 2001 to 2003, focused on U.S. buyout opportunities in the healthcare industry. Beginning July 2003, he transitioned to Senior Advisor at Carlyle in order to devote the time necessary to create a dedicated healthcare fund on behalf of Carlyle. Prior to joining Carlyle, Mr. Abramowitz worked as an Analyst at Sanford C. Bernstein & Co. where he covered the medical-supply, hospital-management and HMO industries for 23 years, after which he was an EGS Securities Healthcare Fund Manager. He holds an MBA from Harvard Business School, was voted top pharmaceutical analyst by Institutional Investor Magazine, and named to the Wall Street Analyst Hall of Fame. InvestAcure is a Public Benefit Corporation, with a vision to see a world where drug companies are owned by millions of spare change investors committed to curing Alzheimer’s. To realize this goal, the company is building a spare change investment platform to enable those impacted by Alzheimer's to partner in the search for a cure by rounding-up day-to-day transactions and investing the spare change in clinical stage pharmaceuticals working on promising drugs. This would help transition investment leadership from a narrow group of profit-driven investors to a much larger and stable investor base motivated primarily by the search for a cure, leading to more clinical trials, more drugs and drug combinations tested and progress to a cure. To learn more about the big picture vision behind InvestAcure's Common Need Investment model, read: Alzheimer’s: what if drug companies were owned by the millions waiting for a cure?